I am excited and honored to announce my new gallery relationship with Kyo Gallery, an International Gallery which represents over 350 international artists, located in the charming and historical town of Alexandria, Virginia in the Washington D.C. Area. Visit Kyo Gallery if you are visiting Washington D.C. or Alexandria, you will be welcomed by their friendly and knowledgeable curator and assistants. 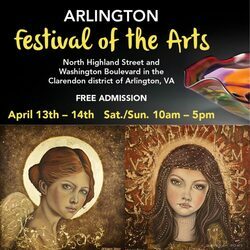 Thank you kindly to all art lovers and to my art collectors that have visited me and my art again this year at the Arlington Festival of the Arts!